In this episode of the Lo Cost Marketing podcast I interview the CEO of Puzl.com, Thibaut Taittinger. We talk about the differences between a complicated web design program such as WordPress, and the dead simple concept of creating your own website with drag and drop widgets. @Taittinger_Thib‘s first experience online came from working in a property development group as a project manager where he discovered that 80% of their leads came from the internet. Whilst there he concentrated on SEO to rank high in the search engines for people that were looking for properties online. The goal here was to get more leads and to sell more properties. He then launched his first online business which was an online community based on property investment. This venture convinced Thibaut there was was huge potential in creating online businesses and gave him an appetite to take it a step further. I asked Thibaut for some advice for up and coming online entrepreneurs, and his response was to “clearly define the concept of the business and draw up a detailed business plan. And if you have a job it is very important that you keep it for security. Break the action steps into small pieces, as you don’t want to launch everything at once. Also surround yourself well with the right team because without a team you are not going to get anywhere. I then asked Thibaut what Puzl is and what they offer to their customers. “Puzl is here to here to help small and medium sized businesses to increase their online business with the creation of a free website. There is no trial periods, limitations of pages, traffic or storage – it is a 100% free site. We are targeting people who don’t have a broad knowledge of the internet, and small businesses who don’t have a website yet. We have made the process very simple, you first create your design, you pick a theme, colours and then you pick a website template. Photos and text related to your sector are supplied which allows you to get started on the creation process quickly and easily. Starting from a blank page on a normal website can be very difficult, as not everybody is a designer. With Puzl you still retain complete control over your site, and you simply need to double click on a widget which is a small design tool which can be a slide show, an image or text etc. We have about 25 different types of widgets available on Puzl. You can click and drag and drop any widget on your page and basically do anything you like with them. You can remove it, add a new one, resize it – you really have a full liberty to do anything you want with your website to make it look unique. We also have a great customer support which is free and will help you with any questions that you may have. There are also online tutorials which you can view. Another important point of a website is that it needs to visible online. There are 350 million websites online today and the number is growing every day. If your website is not visible online then what use is it to you? What we have done is to focus on all the guidelines of the major sites like Google and use technology to make sure your website is search engine friendly. Any customer that joins Puzl needs to follow some guidelines that we give them as well to maximise their search engine rankings. One of my first impressions on Puzl was that I wondered how they were making any money from it, because it appeared to be all free services. Here is the response from Thibaut – “The business model that we use is called Fremium – which means offering a high quality free service and offering specific services answering specific needs of visitors and these will be paid services. For example domain mapping, whenever you create a website with Puzl it starts with the name of the business and then dot Puzl dot com. If you wanted a website to say to have a domain name of dot com then it is a premium service of Puzl. We also give you a free way to do this by offering a free redirection to a domain that you have purchased. We are also exploring e-commerce at the moment as well. We have also focused on full customisation for your website by offering expert specific advice to help you find customers online. Another premium service is to create a unique theme that nobody else has and we will sit down with you and discuss exactly which colours, styles and designs you would like. I then asked Thibaut to compare WordPress to what Puzl offers, and to discuss the differences. “If we are taking WordPress as an example, one of the main difference is that WordPress requires a minimum of knowledge of code to personalise it. It is actually not that easy, but Puzl is made for any kind of user. 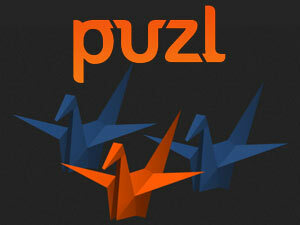 Puzl is also not just limited to website creation, we are really here to help our members with the promotion. You create your 100% free website, we help you with the promotion, and the aim is that the more customers you find, the happier you are going to be with us. And as a result of this, we hope you are going to be more interested in our premium services. We want to hear from our members that building a website with Puzl is actually helping them to gain customers, to gain visitors and to develop their business. Also each time a new browser is created or a device is added to Puzl we automatically update your website to make it perfectly visible on all browsers and devices. There are many websites online that were designed five or ten years ago, or even less, and a new browser or technology comes out and all of a sudden your website does not look so good or pages don’t work properly. I then asked Thibaut about the future of Puzl – “I cannot go too far, but I will try to give more than I usually give. Right now we are still in beta version of adding a lot more designs and themes to offer to our clients. We are also looking at adding some more premium services, because at some point Puzl needs to start earning revenue. We are looking into domain mapping and e-commerce.